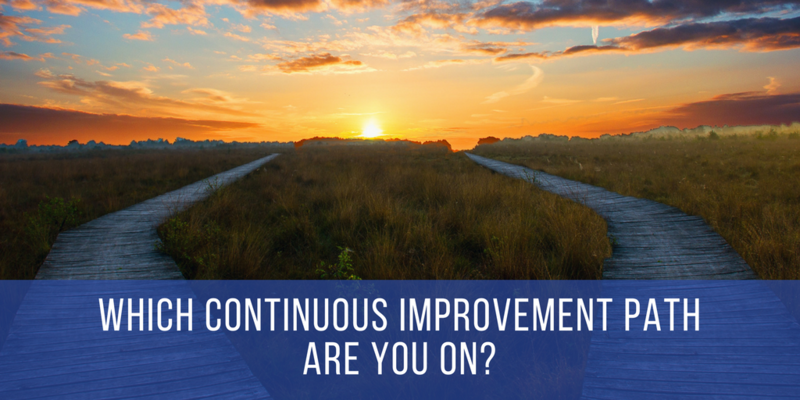 Which Continuous Improvement Path Are You On? Home > Blog > Which Continuous Improvement Path Are You On? 16 Apr Which Continuous Improvement Path Are You On? 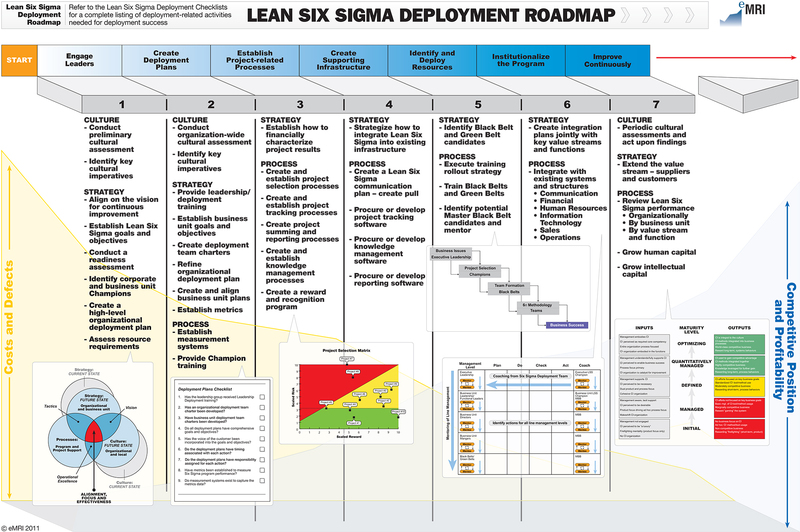 Even organizations that are initially successful with a continuous improvement (CI) initiative, such as Lean Six Sigma, still find it challenging to sustain their success. Over time, the initiative loses momentum and begins to wither. 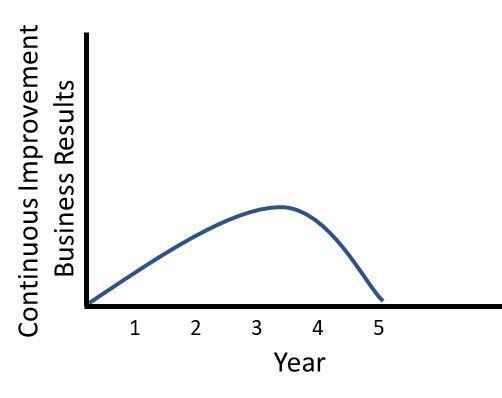 Over time, the business benefit declines precipitously and the initiative fails. The simple graphic below shows what befalls most organizations. Other, somewhat more fortunate organizations, don’t give up on continuous improvement, but they suffer from a leadership problem I refer to as “shiny pebble syndrome”. They become enamored of the next “shiny pebble” as it relates to CI. And when they pick up the new pebble, they drop the old one. The problem with this is that the gains of the prior system greatly diminish as resources are pulled from the old initiative and put onto the new one. The result is not an increase in results, but rather a cycling of results as shown below. 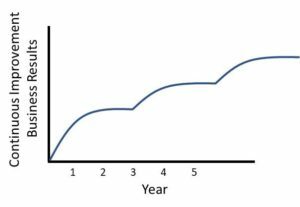 Rare is the organization that can sustain a continuous improvement initiative long-term, such that it becomes part of the organization culture. When enlightened leadership is in place and has a long-term commitment to CI, the graphic below is possible. Such an organization is to be commended.